It is used to quickly heal from burns, scalds, abrasions, lacerations, diabetic ulcers, pressure sores, colostomies, surgical wounds etc. Each dressing contains Chlorhexidine Acetate B.P. .....0.5% w/w & Silver Sulphadiazine U.S.P. .....1.0% w/w. 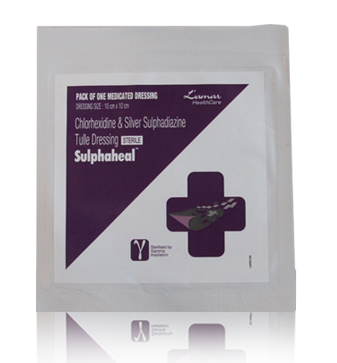 Chlorhexidine acetate has antiseptic properties and used to clean and disinfect the wounds. Silver sulphadiazine inhibits the growth of bacteria and prevents the spread of infection to the surrounding skin.